Andy Sweet is a 12-year-old kid without much going for him. His classmates have dubbed him “Duct Tape” because his tattered discount-store sneakers are held together with…you guessed it, duct tape. He can’t escape the bullying. Andy’s luck changes after he finds a $20 gold coin while swimming with his sister in a river near their home. Andy later buys a $1 treasure map at the county fair. The map shows the route to the “lost treasure” of the notorious outlaw Jesse James. Andy can’t help but wonder: Is there a link between the map and the gold coin? He is determined to find out, and he, his nine-year-old sister, Allie, and thirteen-year-old cousin, Drew, hire an ill-mannered cave guide and begin a treacherous underground adventure in search of treasure. Their treasure hunt is made more perilous because they are being followed by the evil Blood brothers, who want the treasure for themselves. The Blood brothers will stop at nothing to claim the treasure as their own. 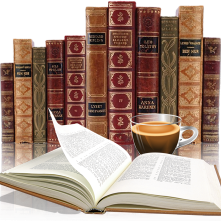 I discovered this book when Stephanie from indieBRAG asked me to host a cover crush. This cover jumped out at me and you can read my blurb here. Once I read the synopsis it wasn't just added to my TBR pile but purchased from Amazon. Though the target audience is middle grade I think it would appeal to all ages. The author does a great job of explaining the duct tape shoes and once I heard that there was an instant bond to this family and the struggles they were facing. "Maybe I didn't trust him because of the way he looked. That was pretty shallow. Not much different between that and not liking someone because they wore duct-taped sneakers." This was a great adventure story that I think every boy (and girl) dreams about, a hidden treasure along with a map and striking it rich. The author wove this story together in such a way that had me rooting for Andy, Allie and Drew. With clues along the way and interspersed with old legends of Jesse James this action packed book was highly entertaining. There was more to it than just a treasure hunt, while Andy dreams of this treasure not for himself but for his mother, for his sister - to help others first and that's something great for kids to read about these days. I loved Andy, he is older than his years, he is protective of his little sister and thinks of others before himself. Monroe was a great addition to this story, his character was rough and gruff with a gentle heart. I've given this book 4 1/2 stars and there was only one little thing that prevented me from giving it a 5. I am not sure how to say it without spoilers but suffice to say there was a conversation between Andy's mother and Monroe that I would've loved to hear. While I totally understand why the author did this and it fit perfectly, I wanted to know what was said (might be the mom in me that has me curious and if you've read the book you might understand my interest). That being said I always round my half points up one so it still ends up being five stars on GR and Amazon. All in all this was a fun story that I highly recommend, there was adventure, mystery and suspense and will appeal to those that like middle grade age books with that historical fiction element to it. A Boy Called Duct Tape was hard to put down and took me back to my childhood reminding me of the lazy hazy days of summer when we gathered outside and used our imagination to keep us entertained. 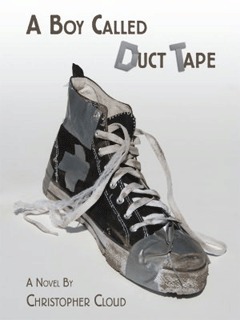 I do not read a LOT of Juvenile Lit but I think I am adding A Boy Called Duct Tape to my TBR list!